Tucked into the uppermost corner of the impressive Mercat del Encants flea market is a great, yet little-known food stop off. It’s.. The sun-licked terrace of Silenus was the perfect location for a menu del día, a few hours with a newspaper and the phone firmly switched.. I crossed town to Bodega Montferry for one of their enticing, potentially hangover-curing-yet-gut-busting sandwiches that I have been so..
Unbeknowst to many, the north western corner of Catalonia, much like the north western corner of my own country, has its own ‘lake.. I used to think happiness was a steaming bowl of soup, a luscious, rich ice cream or chicken slowly barbecued with lots of spices. I was.. 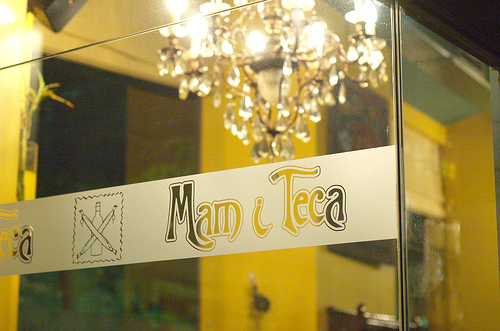 The post-Christmas festivities, although tinged with sadness at leaving loved ones back on the island, are not tainted in Barcelona by..
Mam i Teca is the kind of place I fantasise of one day owning, lottery wins and some serious cookery training permitting. Sant Joan, or the feast of St John, the festival that marks the longest day, leads us literally with a bang into the long sweltering.. The world could learn a lot from the town of Sitges. What I perceived as a ghetto of hedonistic, holidaying, gay folk whose partying and..
It’s a rather strange situation when moving to another country means you learn more about your own country’s patron saint than you did..